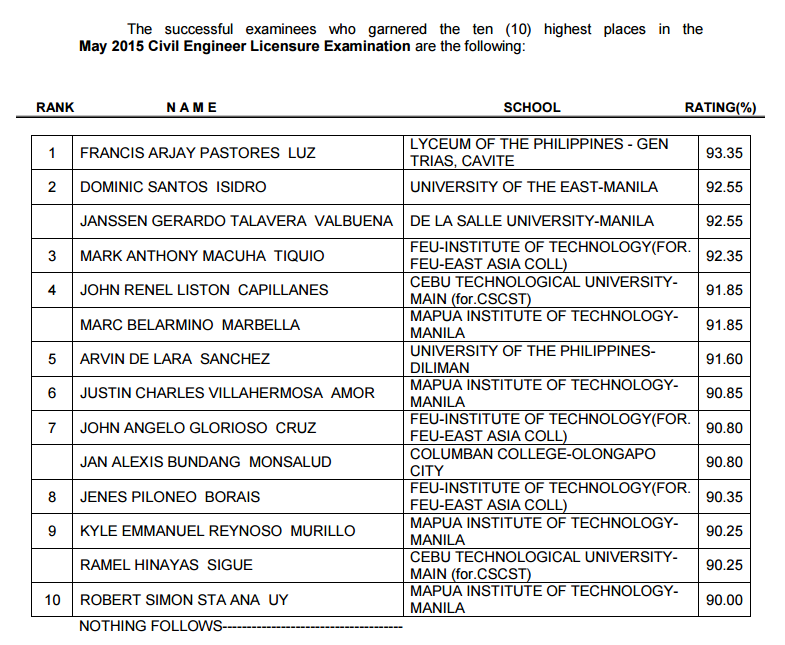 The Professional Regulation Commission (PRC) has released today, May 6, 2015 the full list of passers for May 2015 Civil Engineering board exam. Francis Arjay Pastores Luz, graduate of Lyceum of the Philippines University (LPU) - Gen. Trias, Cavite led the 1,361 passers with 93.35 average grade. University of the East (UE) -Manila graduate Dominic Santos Isidro and De La Salle University (DLSU) - Manila alumnus Janssen Gerardo Talavera Valbuena both placed second with 92.55 grade.